cake Archives - What the Forks for Dinner? When I first began my journey in the cooking world, I bought a Betty Crocker’s Cookbook. It is one of my prized possessions. Inside was a recipe that I thought was pure magic. 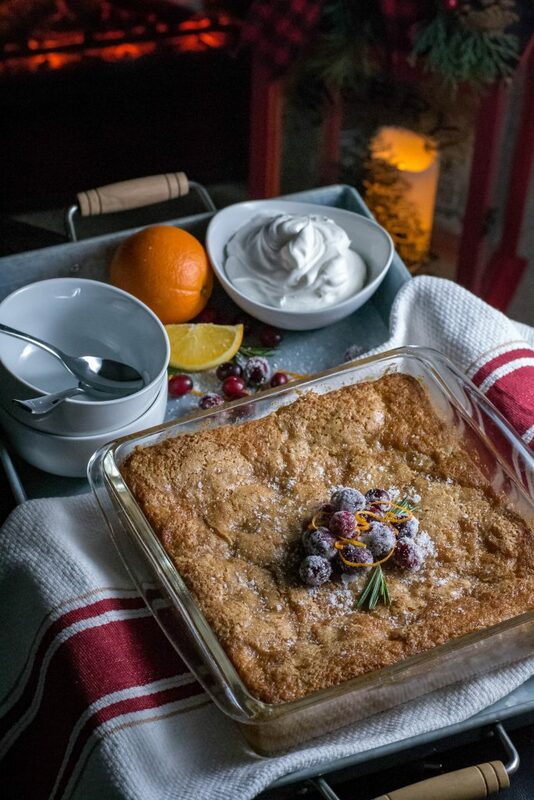 Hot Fudge Pudding Cake which was my inspiration for Cranberry Orange Pudding Cake. Hippity Hoppity, Easter’s on it’s way. Easter dinner is a tradition in many a household. A huge spread with ham, salads, and best of all, desserts. 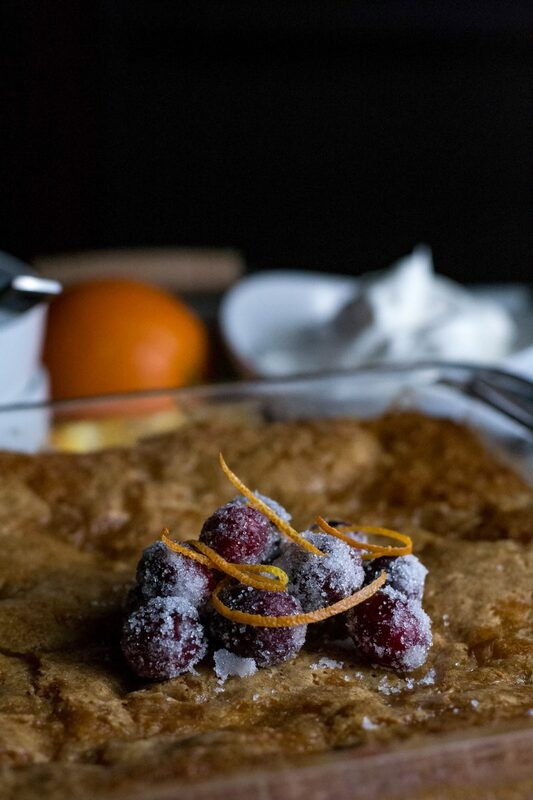 Desserts that signal the start Spring. 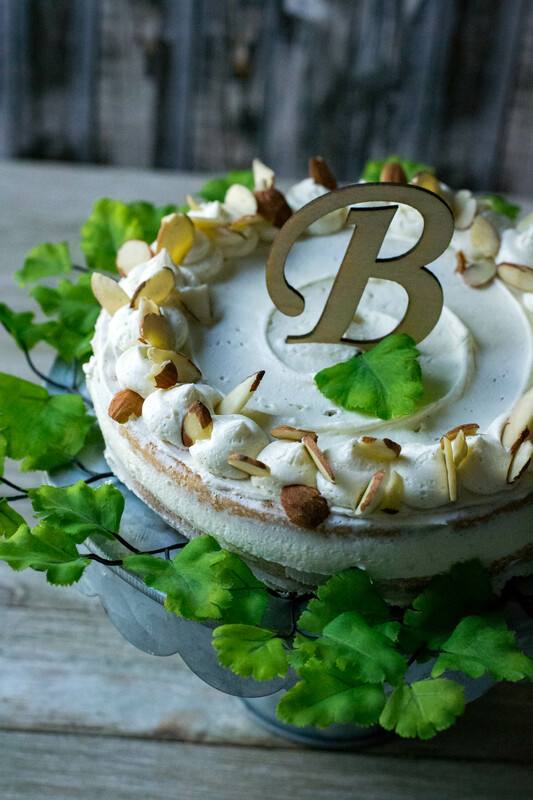 Triple Layer Toasted Coconut Cake will be your center piece dessert. 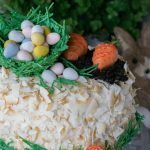 Moist yellow cake filled with a coconut cream cheese frosting, then covered with more toasted coconut. I have made this cake on many an occasion. 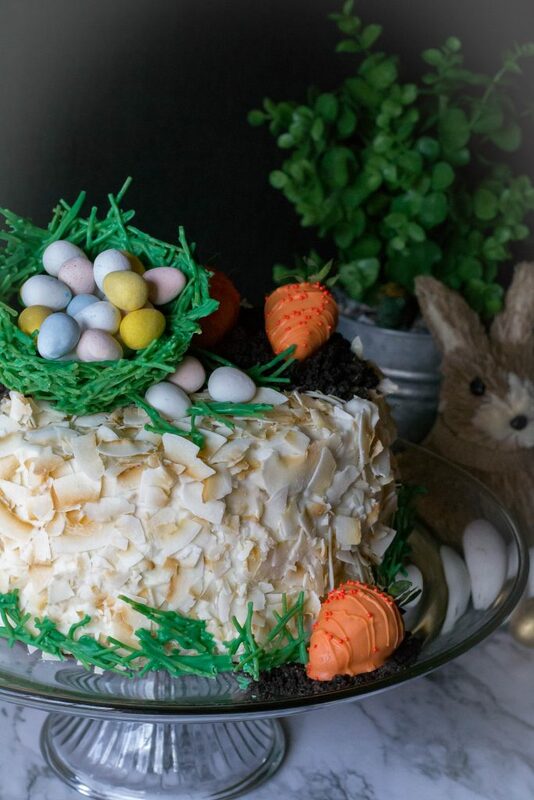 Even though I know it looks complicated (that’s just the Easter decoration),but the cake itself is really easy. A simple yellow cake mix and instant pudding are mixed with water, eggs, and oil…….just like any cake mix……easy! Add a flavored extract for a little something extra. I chose almond but any flavor can be used. What can you say about cream cheese frosting, other than its delicious……add toasted coconut, and it’s over the moon delicious!!! 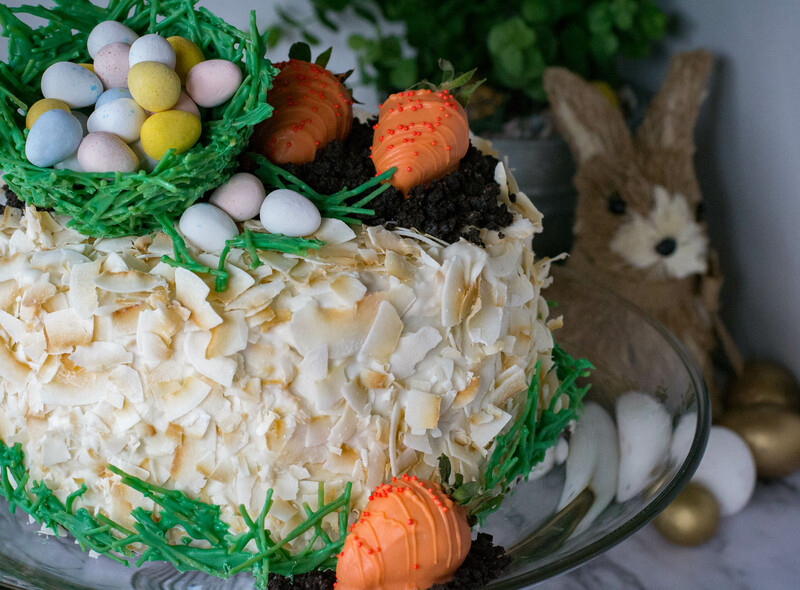 Bake the cake, slather the toasted coconut frosting between the layers and all over the cake, then garnish with more toasted coconut. Flaked toasted coconut can be found in some grocery stores or here from Amazon. Buying the coconut already toasted will save you much angst, as toasting your own can be a test of your patience. Coconut can go from not done to burnt in about one second. Save yourself and buy it already toasted. 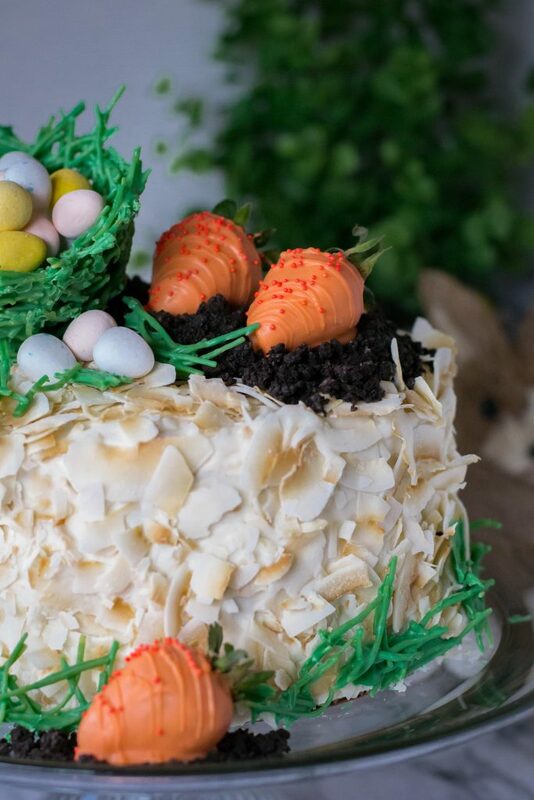 This cake is stunningly simple on its own…..in my rush to get it ready to post, I did not take a picture before I went all Easter Bunny on it. But is is pretty enough for the fanciest party and simple enough for a casual affair. The decorations……colored melts, mixed with super thin pasta noodles and placed in a plastic wrap lined bowl makes the nest. 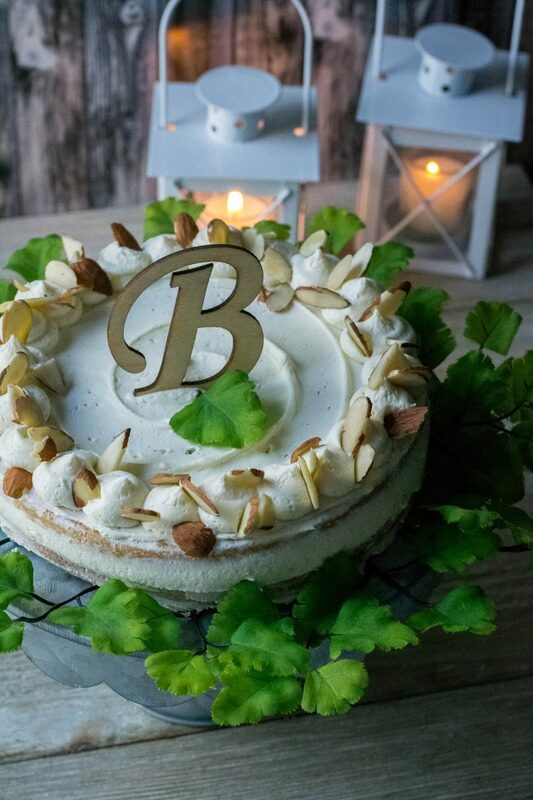 (This is a non-edible decoration…unless you like uncooked noodles, if so, feel free) Make extra and spread the mixture on a sheet of parchment paper to decorate the bottom of the cake. The eggs I purchased…my favorite are Cadbury Mini Eggs, the ones with the crispy shell. Strawberries were dipped in the colored melts for the carrots. Crushed Oreo cookies make the dirt. 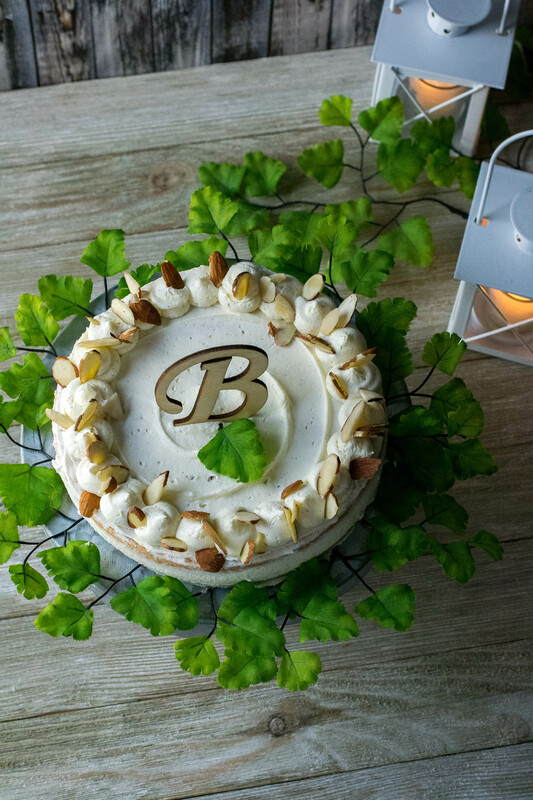 Decorated fancy or in it’s own simple glory…say no to the candy and yes to Triple Layer Toasted Coconut Cake! In the bowl of a stand mixer or in a large bowl, combine cake mix with pudding, water, eggs and oil. Beat at medium speed for 3 minutes. Pour mixture into three greased and floured 8-in. round baking pans lined with parchment paper. Bake at 350° for 25-30 minutes or until cake springs back when touched in center. Cool in pans for 10 minutes. Remove to rack to complete cooling. For frosting, In a stand mixer or in a large bowl, cream 2 tablespoons butter with cream cheese, milk and vanilla. Add powdered sugar, beating well to blend. Stir in 1-1/2 cups toasted coconut; spread between layers and on the top and sides of cake. 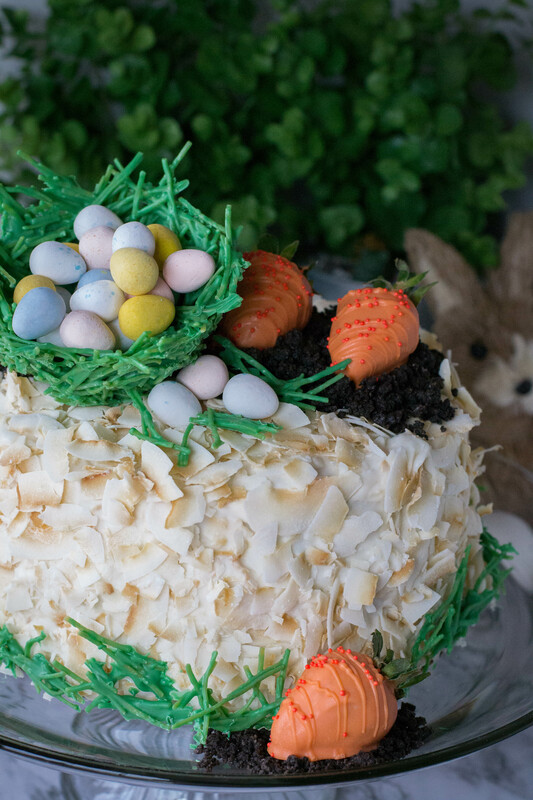 Garnish with remaining coconut on sides and top of the cake.